There is a lot going on in the world of tournament poker this past week, as the Aussie Millions is now in full swing, the World Series of Poker Circuit Series was in Choctaw Oklahoma, the Beau Rivage Resort and Casino in Biloxi, Mississippi hosted the Million Dollar Heater, and both the WPT LA Poker Classic and the Borgata Winter Poker Open tournament series got underway on January 18th. But the biggest tournament news of the week came from the online arena where a former November Niner captured a Sunday Million title and another big-name pro won a PokerStars TCOOP tournament on the same day. Former WPT Player of the Year and two-time WPT Champion has a new tournament book out on the market, and if he keeps winning tournaments expect sales to go through the roof! Little booked a win in a $1k side event at the Million Dollar Heater poker series, pocketing $30,000 in prize-money to start the year. A massive field of 12,270 players registered for Event #16 of the TCOOP, a $55 buy-in NLHE with a $10 bounty. In the end it was tournament pro Toby Lewis (who plays under the nickname “810ofclubs” at PokerStars) who would take down the top prize of over $68k, not to mention any bounties collected along the way. Former November Niner James Akenhead (who was at the 2009 WSOP Final Table with Phil Ivey and co.) won big this past Sunday, getting a clean win in the Sunday Million when the final few players couldn’t come to terms on a deal. Playing under the online handle “Asprin1” Akenhead’s rail grew larger and larger as the final table progressed. 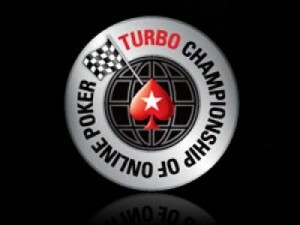 This entry was posted on Tuesday, January 24th, 2012 at 11:10 am and is filed under Poker News. You can follow any responses to this entry through the RSS 2.0 feed. You can leave a response, or trackback from your own site.